From the Hancock County Courthouse, go east 2 blocks on Broad St. Turn right on Boland St. and travel south on Boland which becomes Linton Rd. Go for 9.2 miles. Turn left on Ridge Rd. Travel 1.8 miles to the gravesite. 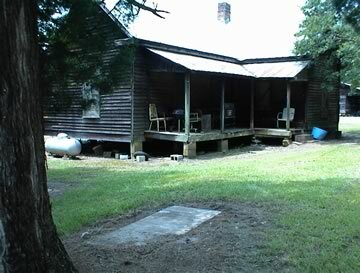 The grave is located in front of a farm house on the right side of Ridge Rd. First name believed to be Napolean. Possibly a grave but not sure.